In order to be successful on the App Store a lot has to go right. Since 2012, the App Store has hit a point of maturity. The top grossing charts are in stasis with very little change from month to month. The winners of the App Store have been decided, and now the remaining developers are trying desperately to hold on to their existing market niches. Just recently (January 2014) in a report by Gartner they estimate by 2018 that less than 0.01% of all consumer mobile apps will be deemed a commercial success. It’s not all so bleak though. Looking back at the success stories since 2012, you can see some clear patterns of how developers built successes from this difficult market. Some clever developers have managed to launch games that turn a profit despite the trends. From comparing these success stories, I can see 3 clear paths that small developers can take to have a shot at being profitable on the AppStore. The first option I discussed in my last post. Create an amazing mobile experience and do everything in your power to ensure a featured spot from Apple or Google. This is the best path for small, creative indie developers. For any developer that can’t fork over $400,000+ for a marketing budget should consider the first option. 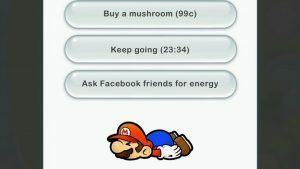 But this option comes with limitations. The number of developers fighting for featuring grows by the day. There are limited slots each week that can be used for featuring, and only the top spots will drive the discoverability needed to sustainably bring in a profit. The bar for how much you need to invest into polishing your game is growing week by week. There is also a low revenue ceiling for these types of games. In order to get over $1 million in revenue, you need to have an editor’s choice featuring. This type of feature is not easy to get. When you fight for featuring, it all comes down to getting the Editor’s choice. As a developer looking to grow beyond just a 10-20 member studio, they must look beyond such a risky path to generating hit games. In order to hit bigger margins on games, you have to move to Free to Play. It is obvious just from glancing at the Top Grossing charts for the last few years that free to play is dominant and is here to stay. 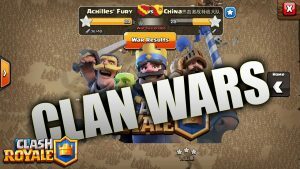 Clash of Clans clears over $1M/day according to AppAnnie. The only paid game that has consistently been in the top grossing since 2012 has been Minecraft. So if you need to go bigger, how do you find success in the free to play market? A good product is not enough. You need to be able to build a better product than the competitors, that keeps players playing for months longer than the competition, and then outspend them on marketing. If you can’t do these three things, your game will sink like a stone. Free to Play games are drastically different from traditional console games or paid games on the AppStore. As I discussed last week, if you choose the 1st option to succeed on the AppStore (“Feature or Bust”), your focus is on creating an amazing first experience. Creating just a few days worth of content is entirely okay. Players are fine with a quick, polished experience for their $2.99. You don’t need to sweat out creating months of content for players to consume. However, Free to Play is drastically different: the success of your game hinges on your ability to keep players playing for months, if not years. In the early days of free to play on mobile, developers focused on creating revenue within the first week of a player playing the game. Players would start a free to play game and be accosted by deals and tricks to get them to spend as quickly as possible. Nowadays this has completely changed. The common approach now is that players that enjoy a game for months are more willing to spend, and will spend much more. Tracking and optimizing retention is imperative. Ensuring that a substantial (5+%) of players come back 30, 60, 90+ days after opening is crucial to free to play success. So unlike creating games to be featured (the 1st path), this second path is the exact opposite. Your success hinges on your ability to create a game that lasts for months. Focus should be on mechanics over aesthetics. Mechanics that drive players to return each day for months on end, and ultimately create systems that encourage players to eventually pay. On top of this, developers will need to make a commitment to this game for many months after the launch. In order to drive the long term retention to where it needs to be, developers must invest heavily in consistent content updates. Updating your game every 2-3 weeks is imperative. 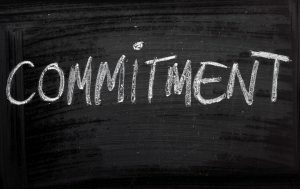 As a small developer, this commitment to a single game may be deadly. Free to Play only works for larger developers. If you don’t think you can create a game that will last for months on first launch, then rethink your path to be successful in this market. The second step to creating a successful free to play game is to make the magic formula work : Your game’s LTV must be greater than CPI. LTV : Lifetime Value. This is the amount of money an average player will spend throughout their entire time playing your game. This is a reflection of your retention curve (how long players will remain in your game) multiplied by your game’s ability to monetize over that curve. To increase: retain players for longer and monetize on that game better. CPI : Cost per Install. This is the average cost marketing must spend in order to push a customer all the way until the point of installing and opening up the game. This number is heavily dependant on marketing as well as the theme and art style of your game. How costly is it to acquire a player that likes your game enough to install it? Word of mouth, brand recognition, reddit posts all come into this. If you have a large user base that you can get to download your game for free, even better. Optimizing these two numbers is the only way to success with Free to Play games. First off, you need an amazing game. That’s not an easy accomplishment, but must be the base for making the LTV vs CPI equation work. Assuming you’ve got a healthy LTV (over $2) then it makes sense to start looking into smart ways of acquiring users. As a small developer, you don’t need to be in the Top 10 grossing charts to bring in a profit on a free to play game. CPI scales with volume. So purchasing 2,000 new players a day can have a much smaller cost per install than purchasing the 20,000 new players required for a massive blockbuster. As a small developer you can be smart about purchasing enough volume of users to pay the bills and avoiding the big spenders. Otherwise, as a small developer you’ll need to find a publisher or an investor to fork over the necessary cash to drive serious marketing out of the game. Dimitar Draganov mentioned in “Freemium Mobile Games : Design & Monetization” that a marketing budget must be minimum $400K. That was back in 2013. This baseline has only increased since then. According to AppAnnie and Flurry this trend will most likely continue to climb as long as the biggest developers have strong LTVs and can afford the CPIs. This is the most elusive and undocumented of the paths. I myself have had no experience creating games like this, but have only watched as some games have become successful using this route. Games like Words with Friends, Draw Something, Flappy Bird, Fun Run, Canabalt, and QuizUp are all games that drove a massive audience to their game by virality and word of mouth alone. They didn’t need featuring from Apple, many didn’t spend a dime on marketing. Fun Run Multiplayer was built by a bunch of students for a school project. They polished and launched it on the AppStore themselves. It became a massive hit with a younger crowd (13-18 year olds) which resulted in the game reaching a dominant Top Free ranking position. They even managed to creep into the Top Grossing charts for a limited time. How they did this? I can only speculate. Focusing on a younger demographic that is more likely to spread games via word of mouth at school when all their friends have iPod touches or iPhones improves your chances of being viral. Ultimately they did not need to be featured or pay for marketing. Flappy Bird was a massive news headline in early 2014. It left the mobile development world speechless why a game so simple could traverse the charts so easily. Tech Crunch did an excellent write up on the Flappy Bird phenomenon: http://techcrunch.com/2014/02/14/why-fads-fade-the-inevitable-death-of-flappy-bird/ . The game was incredibly addictive: it gave players always a reason to try once more. The player’s reason for failing was always blatantly obvious: tap better next time! This game again was for a younger audience — but captured an even wider one than Fun Run. This was a game that was so frustrating that players couldn’t help but tell their friends about it. It shot up on discussion boards everywhere. People naturally wanted to share their scores and their stories from playing this game. 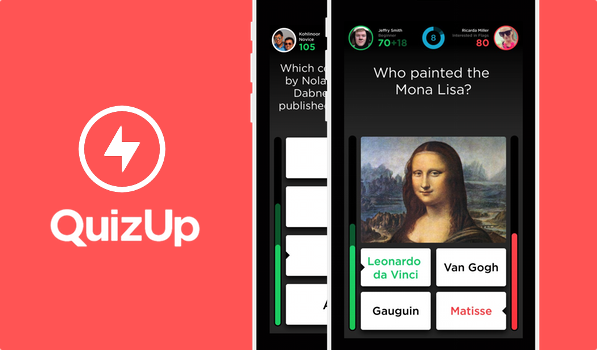 Games like QuizUp, Draw Something and Words with Friends did something different. They built games that word of mouth and virality was at its core. You can’t play these games unless you get your friends to play it. Friends themselves are constantly prodding you to play one more turn. This drove massive growth for these games. Everyone was playing — to the point that Zynga purchased Newtoy (Words with Friends developer) and OMGPOP (Draw Something developer). These games were quick to rise and fall, but it was long enough for the developers. Most of these games are very broad audience games. They appeal to a wide range of player types and demographics; this supports the game’s viral ability. You can’t create games that are niche that depend on word of mouth. However, these games are risky. Words with friends didn’t even show signs of life until more than 6 months after their first launch. Most companies would have put the game to rest long before the game got the attention of the public. But when the game took off, it took off like a rocket. Yet with all of these games, what goes up must come down. These games float in the top charts for awhile, but then sink incredibly quickly. Unpredictably, these fads are over almost as quickly as they came. So developers must seek to make money while they can. This success is fleeting. Going for a viral hit is by far the most elusive path to choose. Its always difficult to see what games will become a viral sensation. But regardless, each year, one developer always wins the lottery. There will always be stories of developers arguing that you don’t need to sink years in to making beautiful games (the 1st path) or spend a dime on marketing (the 2nd path) to succeed. If we all could be so lucky. Focus on featuring from Apple and Google. Focus on experience, not on monetization. Build games with an incredibly strong aesthetic experience. Don’t fuss with a massive amount of content. Focus on an experience that is a polished and fun few hours. Build a game that will retain players for months, even years. Find ways to optimize your LTV with retention and monetization. Find a way to get $400K+ for a marketing budget to push the game to the top. Hope that LTV > CPI, and that the game can sustain in the Top Grossing Ranks. Incredibly risky, and not much is known how to accomplish. Aim for a broad audience game that enforces word of mouth marketing. Pray that it eventually takes off. Each of the big successes since 2012 have gone down one of these 3 paths. Each of these successes have spoken at length how they’ve won the lottery that is the AppStore. The mobile industry in 2015 will surely bring some surprises. For the rest of us that can’t count on surprises, looking for an equation for how to build a hit game, this is as close as you can get.